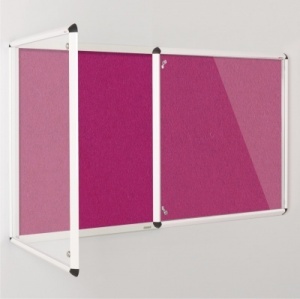 Stunning range of lockable noticeboards available in a choice of 6 modern felt colours. 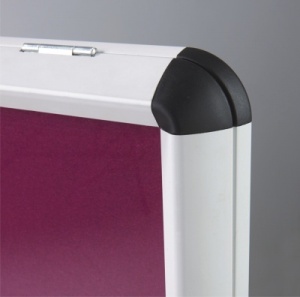 Made to the highest specifications with 2 matching locks per door, full length glazing bars and quality hinges for extra stability. 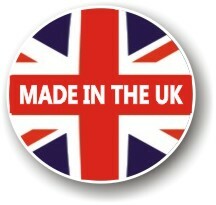 ColourPlus fabrics accept both both pins and Velcro. 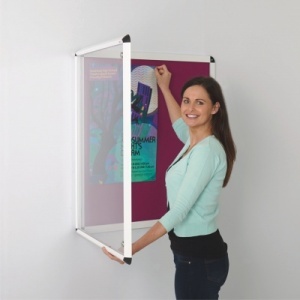 Available in 4 single and double door size formats The Shield Design ColourPlus Tamperproof has a stylish white finish aluminium frame. 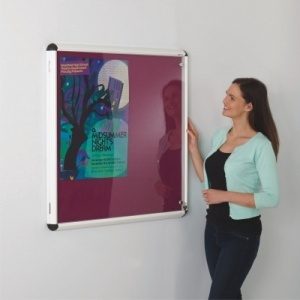 The ColourPlus tamperproof noticeboards are ideal and offer an effective way of protecting notices from casual interference in busy public areas.